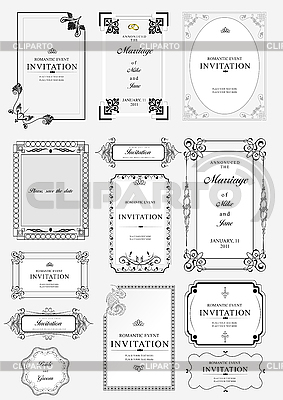 Set of ornate vector frames and ornaments with sample text. Perfect as invitation or announcement. All pieces are separate. Easy to change colors and edit.